All songs have stories. But some indelible classics have something beyond a mere story of creation. They have evolutionary histories. The transformation of early folk and blues songs into modernized favorites is extraordinary. These are songs that are not bound by copyright laws because they, like fairy tales, have been passed along from generation to generation, each manipulation furthering the song like a game of musical telephone. Lyrics and rhythms changed but the original melody, like the moral of a story, stuck. There was no basis for comparison up to the early 20th century when these folk and blues songs were finally recorded and preserved. This is how we know them today. Yet, the first recordings are not what the mass populace listens to. “The House of the Rising Sun” is an example of such a piece. While the 1964 version by the Animals is clearly the most known, the song’s first recording happened 31 years earlier, and the roots of the song stretch even further back. We will explore the disputed meaning of the song later in this post. For now, I want to provide a summarization of the recording history of “House of the Rising Sun” prior to the Animals’ version. Sound boring? It’s not. A lot of popular musicians recorded this song prior to the Animals and reading on will abet your quest to stump your friends on music knowledge. Ashley said his grandfather taught him the song. Does not sound like The Animals, does it? The song is classic folk at its finest, twangy voice paired with a blues-inspired chord progression. The lyrics are significantly different than The Animals version. The Animals changed the song’s protagonist to a male. The traditional song is about a woman and her life with her “sweetheart,” a gambling drunk. The song acts as a warning to not make the same mistakes that she has made. The question is what is the house they call the “rising sun,” and I’ll ponder the two theories in a bit. 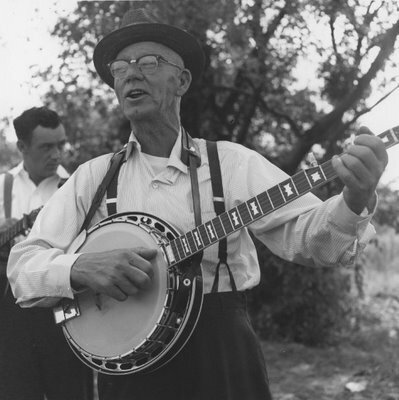 After Ahsley’s recording, the song was forgotten about until it was revived by Alan Lomax, the famous co-curator (with his father) of the Archive of American Folk Song. In 1937, Lomax recorded 16-year-old miner’s daughter Georgia Turner performing a version of the song. He would later incorrectly credit her with creating the lyric, even though her interpretation can technically be considered original, I guess. Nobody knows who created the original lyric. And it doesn’t really matter because I guarantee that if the original lyric was over located it would bear little resemblance to “The House of the Rising Sun” we know. This is the natural progression of traditional music. There is nothing else to this basic chord progression in the scale of A-minor. 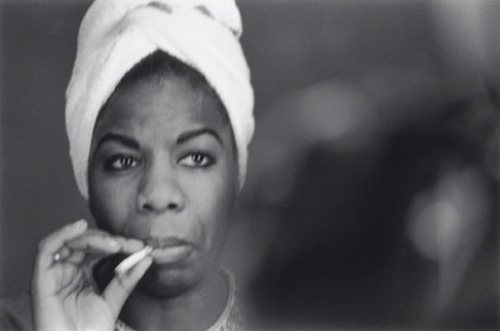 At the corner of Thompson and Bleecker street in Greenwich Village, New York, stood a club called The Village Gate and in 1961, Nina Simone recorded a jazzy version of “The House of the Rising Sun” that is one of the most powerful and intriguing performances of the song ever recorded. Yes, I do personally prefer The Animal’s picked take on the classic, but Simone’s version accentuates the full flavor of the song. It is passionate, despite its methodical pace. The lyrical transformation is minor. The true change came with The Animals’ version. Bob Dylan, who recorded “House of the Rising Sun” a few months after Simone’s live version (sparking controversy with Dave Van Ronk who was mentioned in yesterday’s post, but let’s not delve on petty music controversy), is said to have “jumped out of his seat” the first time he heard The Animals’ version of “The House of the Rising Sun.” He would also never play the song again because fans accused Dylan of plagiarism. That is what The Animals’ did with “The House of the Rising Sun.” They sped it up, masculinized the lyric, and made the song their own. 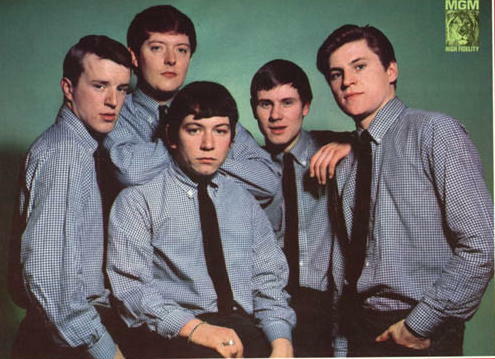 Eric Burdon’s voice significantly helped create that bluesy aura, but the intelligent decision to pick the song mixed with the keyboard’s distinct presence made the song a classic and one of the first folk/rock songs of the 1960s. Okay, we got it with the recording history. Where did the song come from? What is it really about? Well both of these questions come with numerous answers. Where the song came from really is narrowed down to two potential answers. According to Alan Price of the Animals, the song is a 16th century English folk song about a brothel. Many other British folk aficionados claim that the song has a similarity to “Matty Groves,” a traditional English folk song. Others believe that the song is an American folk tale, but it is certainly not out of the question that the folk song was brought to American by early settlers and then revised to fit the time period. What is the house, though? Many believe it is, like Price said, a brothel. Obviously, since it is in New Orleans, the lyric has been transformed to fit the area where it was popularized. We can then conclude that the version that stuck was first imagined in New Orleans or with New Orleans in mind. This would place it somewhere in the early 19th century. There was a small, short-lived hotel called the “Rising Sun” in the French Quarter of New Orleans in the 1820’s that burned down. It is quite possible that it acted as a brothel as well. Another theory states that the House of the Rising Sun is actually a women’s prison. Van Ronk says that he saw a picture of a the old Orleans Parish Women’s Prison and the entrance had a rising sun decoration. That seems almost too convenient. 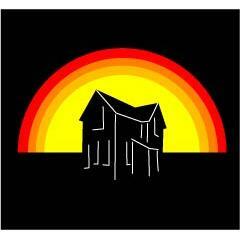 The House of the Rising Sun could also be a reference to a plantation. Like I said, there are many different possibilities. Reviewing the earliest lyric, I can see the song being about a prison or a brothel. ← Dave Van Ronk Movie – Reznor TV Show – Best Albums of 2011, What was left out? What about Bob Marley’s reference to the House of the Rising Sun in the song Crisis? “They just want to be the leader in the ‘ouse of the risin’ sun…” Any interpretation on what he was referencing in this lyric…??? From the context of the song, it seems to be an evil place. I definitely agree that Marley’s house of the rising sun is an evil place. It seems that Marley’s “Crisis” is an anti-war song and that his “risin’ sun” symbolizes the corruption of war mongers. Thanks for bringing up his reference to the “risin’ sun” because it is different than a brothel. If we do go by the thought that the risin’ sun is an old prison, Marley could be referencing it, but it seems more likely that he is using the old lyric to symbolize something different. What do you think K.C.? I think it’s about selling of the soul. The house of the rising sun is an opium den in New Orleans. The author says “I’ve got one foot on the platform and the other on the train”. That is the turning point (for worse) in their life as they succumb to their addiction – “I’m going back to New Orleans to wear that ball and chain”, the ball and chain referring to their addiction. Prior to that the author says “mothers, tell your children not to do as I have done – spend your life in sin and misery in the house of the rising sun. That’s a personal prison, not one with bars on the windows.